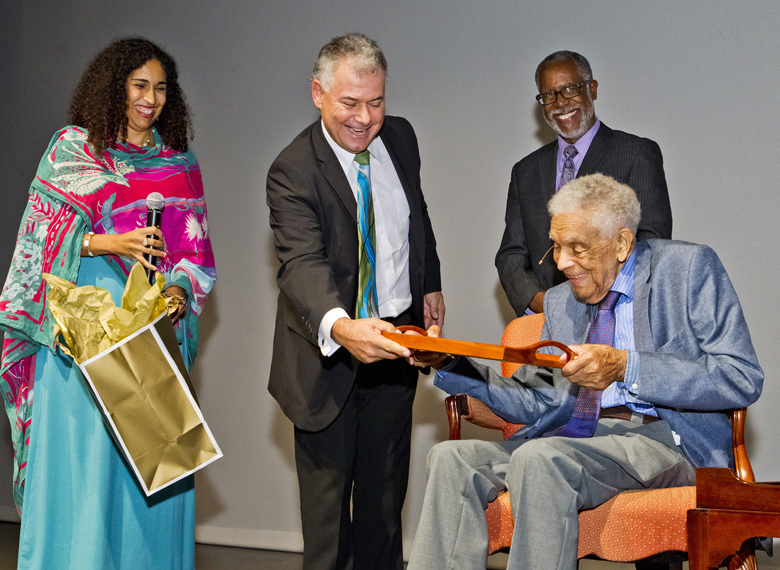 Last night, the Department of Community and Cultural Affairs hosted an evening with legendary actor Earl Cameron entitled “Our Earl is 100 Years Young!”. Speaking at the event, Minister of Social Development and Sports Zane DeSilva said, “Ladies and gentlemen, it is with great pleasure that I welcome you to a very special occasion – the Bermudian Heartbeats lecture, “Our Earl is 100 Years Young!” with our guest speaker being none other than Earl Cameron himself. “This is the second time Earl Cameron has honored us with his presence for a Bermudian Heartbeats event; the first being back in 2012. “Of course a few things have changed since then – with perhaps the most notable being that this very theatre now bears his name, paying homage to our legendary screen actor, another being that we are now officially celebrating a centenarian! “Therefore, tonight, in honour of Mr. Cameron’s 100th birthday this past August, we will take a look back at a career that spans more than six decades and 28 films. 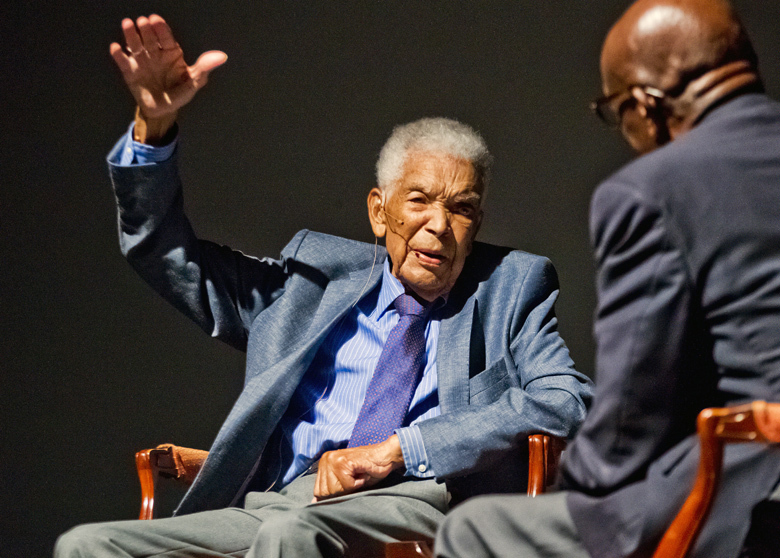 “Earl Cameron CBE is a man who needs no introduction as our island’s most celebrated and respected actor. His success in the film industry is unparalleled by any other Bermudian and he stands as an inspiration to young actors all over the world, particularly those of colour, for the remarkable contributions he made in breaking through the barriers that existed for black actors during his time. “He has performed with Oscar-winners and film legends, yet it is a testimony to his character that Mr. Cameron remains in his interactions and at his core, a Bermudian gentleman of the highest order: sensitive, generous, and eminently charming. “It is a great honour that Mr. Cameron accepted our invitation to participate in this programme once again, and on behalf of the Government of Bermuda, I would like to thank him for serving as a cultural ambassador for his island home, a stellar example of what is possible for Bermudians to accomplish. This is awesome! But it’s still shameful that we took all this time to celebrate him!